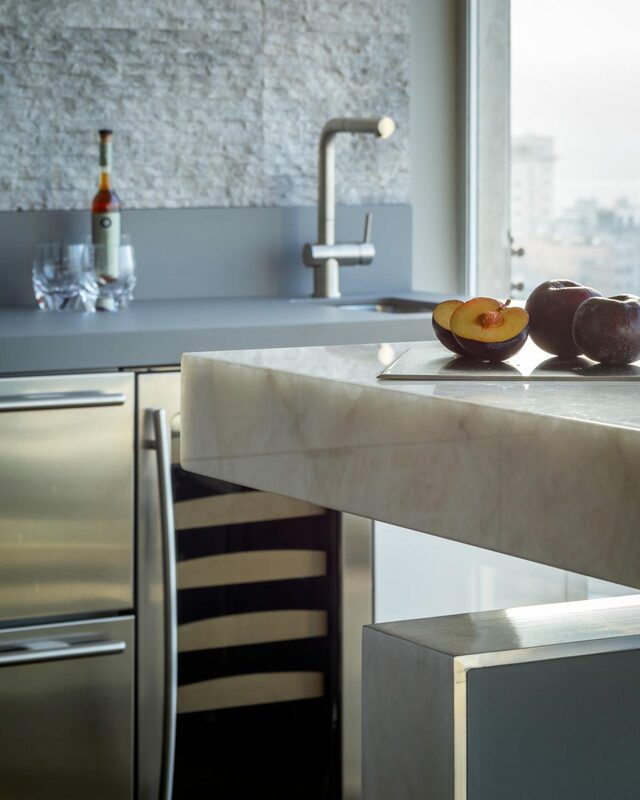 Our past Client invited us back after several bathroom projects to now give a fresh look to the kitchen at their Russian Hill condo in San Francisco. 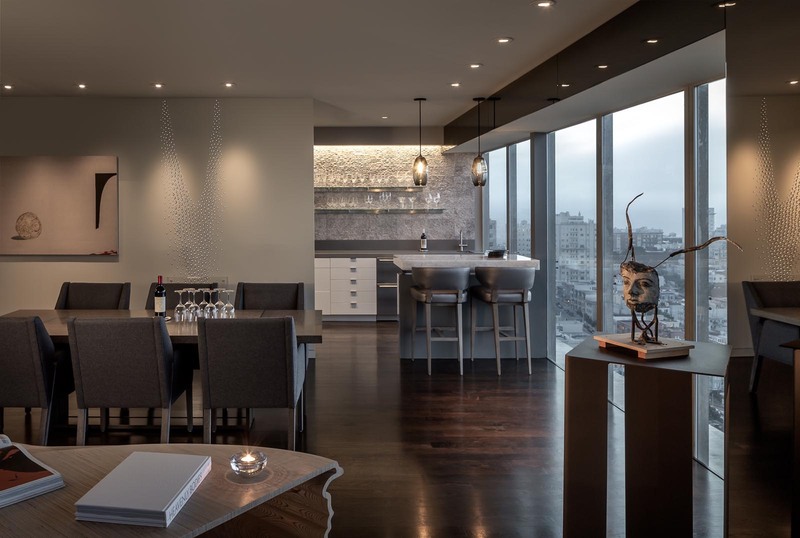 With material texture, lighting, and a modified space plan, we opened up the walls to capture impactful views to both the kitchen and dining room. Each of our projects require special attention to detail from supporting floating elements to the precision of alignment with materials and hardware. 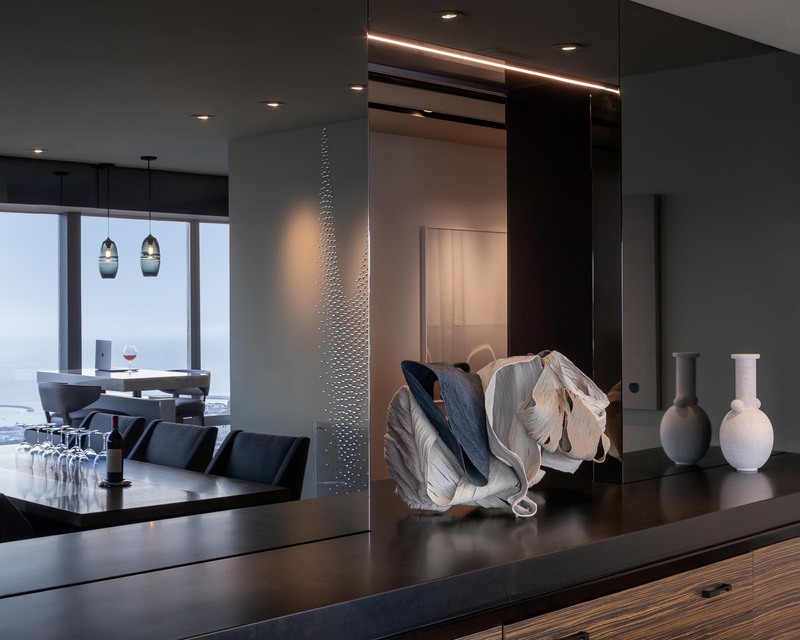 The homeowner has a special contemporary art collection that we were able to work with and showcase in new light. 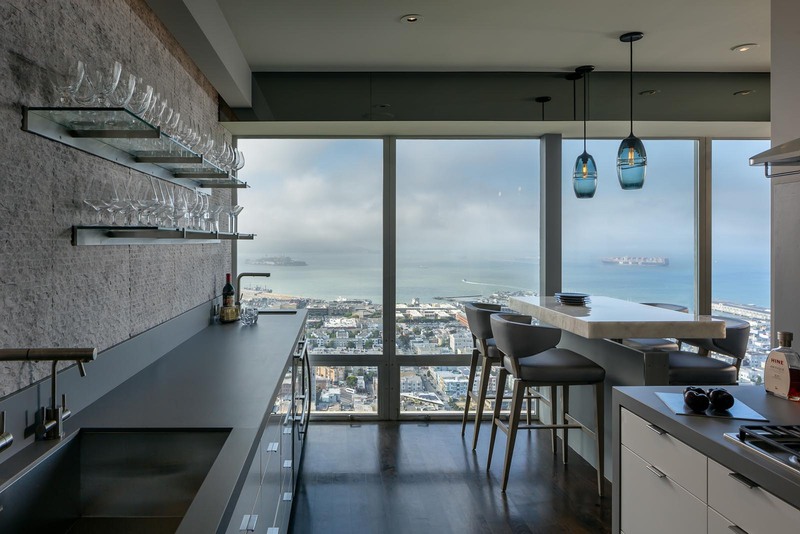 High-rise design and construction is one of our niche talents. Taking into account the building systems, creative use of spaces, and the logistics of working in this environment requires a special team to accomplish a project of any size in a high-rise property.